Hey, remember just the other day when Google told us that its new Nexus 7 tablet would go on sale July 30? Good times, good times. Well, Google apparently uses a different calendar from the rest of us because over at the Googleplex, "July 30" means "right now." A Friday tweet from the Google Play Twitter account announced the date switch. "Surprise!" the company tweeted, along with a link to Google Play's order page. This looks to be an instance where Google's hand was forced by its retail partners. 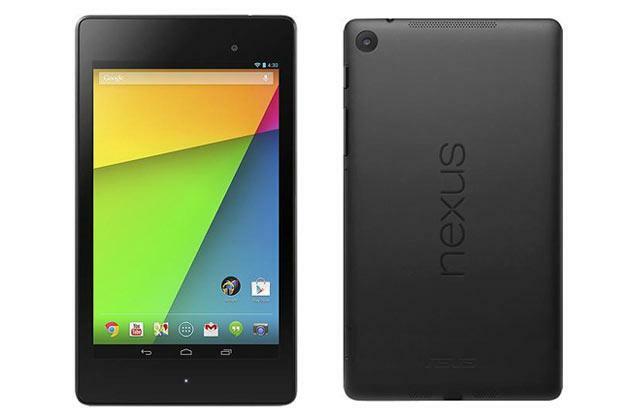 Earlier Friday, Best Buy, GameStop, Amazon, and Walmart all started selling the Nexus 7. The Nexus 7 still ships by July 30 when you order through Google Play. Shipping is free, if you go with the default three-to-five day ground option, but you can pay an extra $14 to get the tablet in your hands sooner. Only Wi-Fi-enabled models appear to be available from Google Play at this time. As you can review in our hands-on with the Nexus 7, the latest version of Google's tablet costs $30 more than its predecessor. But it's also thinner and lighter, runs on a Qualcomm 1.5GHz quad-core Snapdragon S4 Pro processor, and boosts the camera. It also happens to be the first device to run Android 4.3.